never itch! A higher micron does not necessarily mean more warmth, however. fine fibres that we double or triple to help you survive the cold in complete comfort. the category of combed wools, which are more refined since they look perfectly even. The style of knit dictates the choice of technique. Spun in Italy specifically for ça va de soi, this Australian merino wool is as simple as it is rich. Using a revolutionary carding process that integrates air bubbles, the fine and ultra-long fibre (15.5-micron) breathes and stretches to best deploy its splendor. Sweaters are so light and airy, you would almost think you're wearing a cloud. Comes across like a big sweater with the softness of a fine sweater: just a taste of what we quickly can't get enough of. “No compromises!” The day that ça va de soi embraced that approach, 17 years ago, was an auspicious one. Because from that day forward, our clothes have been produced from only the highest-quality natural fibres, spun by the most seasoned master craftsmen in Italy. 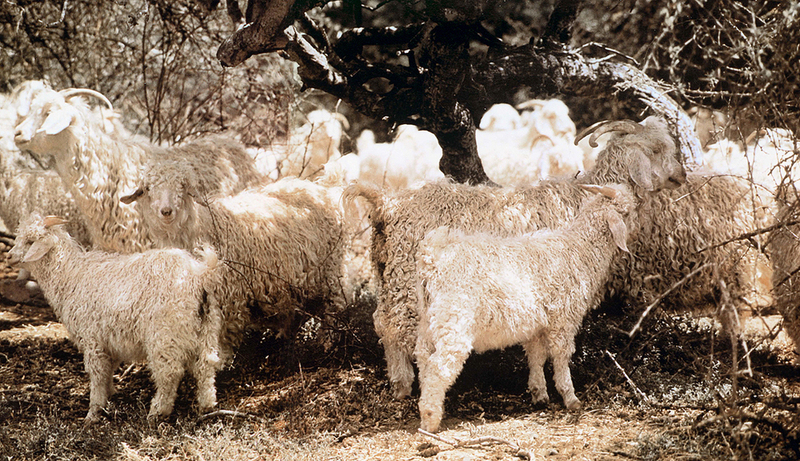 And the king of these fibres is merino wool. from fibres merely 16.5 microns in diameter (the market average is about 20), will be elated this season by a newcomer to our latest collection: Super 160, a yarn spun from fibres only 15 microns wide! By comparison, a human hair can measure as much as 100 microns wide. This unveiling of a finesse that scales new heights reveals fibres that are exceptionally long and smooth, guaranteeing a lasting lustre and increased resistance to pilling. Nature offers this rare wool only when all the elements decide to work together. clergy, and from then on made available to the man in the street. The colossal impact of its arrival to our industry can still be felt: with super wool, clothing lost its stiffness, becoming smooth, lustrous, chic and versatile. The suit became the sartorial mainstay for all occasions. merino wool to our flagship boutiques is the arrival of nothing less than the most beautiful wool in the world. It’s indescribably soft, imperceptibly refreshing, and subtly supple. This gift from nature, shorn from top Australian sheep, is in no way a sure thing. Although the farmers guarantee exceptionally good breeding conditions — they go so far as monitoring the water that their animals drink — they’re nonetheless aware that nature always has the last word, perhaps now more than ever. of the top artisans in Biella, Italy — the mecca for merino wool — then Super 160 quite simply has us enchanted. Super 160 has been an epiphany for ça va de soi, a wool we cherish like no other. And anyone who draws the back of their hand across it, the sign of a connoisseur, or their fingertips, as most admirers do, would have to agree with us: surely this is the most beautiful wool in the world.